On January the 31st Elbi was 'App of the Day' in the US! 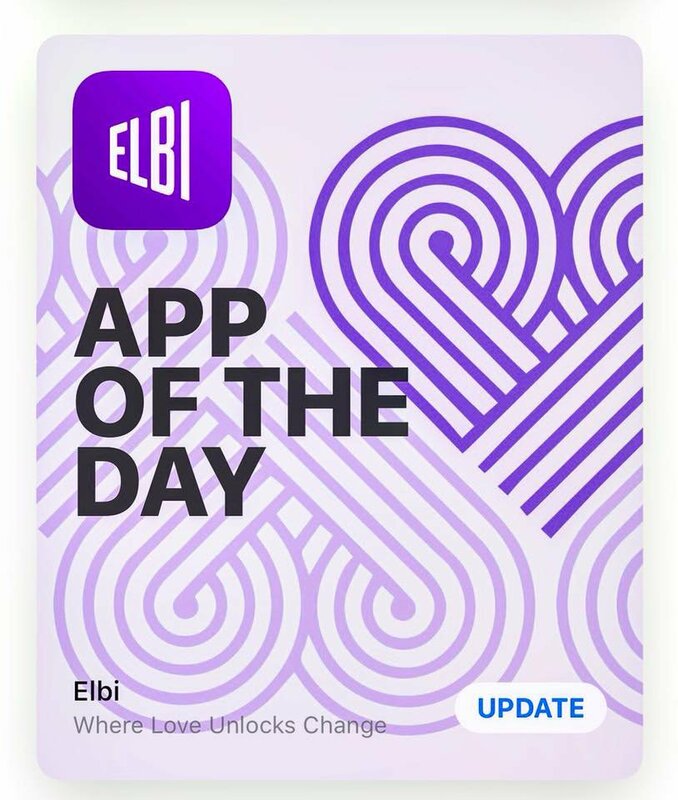 On January the 31st the Elbi app was featured as App of the Day in the US App Store! It has been humbling to see how our charities have benefited from this fantastic exposure - all of them reached above and beyond their funding goals with some of them reaching as high as 10 times the amounts they had hoped for. The Diabetic Research Institute raised 20 times (2691 loves) their campaign goal was to support researchers in finding a biological cure for diabetes. In the humdrum of our busy lives, it’s easy to forget what’s truly important.If we all hit pause during our morning commutes and looked around for a brief moment, chances are we would open our eyes to people everywhere who need help. With a new app Elbi, helping others is easy, rewarding and fun. The same way technology has forever changed the way we order food, call cabs and make restaurant reservations, the team behind Elbi aim to use modern technology to remove barriers that exist in charitable giving. All the time-consuming and mundane parts of donating: finding legitimate charities worldwide, registering and account, selecting payment options, understanding where your money goes - are all taken care of. What’s left then? Like most social networks these days, Elbi presents various charitable causes in the form of short videos that you can swipe through left and right. You get to hear directly from people who work in the charity or those affected by the problems those charities are trying to solve: Mamie from Congo who needs school supplies in order to go to school, Ceyda from the UK who has cerebral palsy and needs a special joystick in order to use a computer, or Jessie the dog who was recently rewarded a home thanks to Elbi’s support of the National Animal Welfare Trust. Once a story affects you - and we promise, it won’t take long - simply touch the heart-shaped icon at the bottom of the page to donate. Alternatively, you can advance the cause by recording a video response, or putting some stickers and personal messages on existing videos and sharing them with your friends. Your contribution also opens up another type of reward. Each donated dollar converts to a LoveCoin, which you can use in the shop to get exclusive goods in the ‘LoveShop’ from the likes of Fendi, Beats by Dre, H&M Conscious, Givenchy, and others. Elbi changes the game in charitable donations by channeling the energy of small, everyday actions towards causes for the greater good. Swapping a few minutes of scrolling through social media and the cost of a small coffee cup to instead spending a few minutes on Elbi, collectively, might just be what it takes to make a change in the world.